To reach every individual and make user friendly, the HTC mobiles are working to introduce more affordable Smartphones to expand their Android devices. The Taiwanese manufacturer has showcased the HTC Desire 200 last month and the company claims that, it is going to be one of the impressive model in the list of available models in the market very soon. The revealed reports suggest that, HTC Desire 200 model is the replacement of the successful model named as Desire C, which has been spotted in Vietnam and was first showcased in a Taiwanese certification site in march this year. Out of the box, the Desire 200 will be available with a handy dimensions of 107.7 x 60.8 x 11.9 mm and also weighs around 100 grams. However, the manufacture has not yet revealed anything regarding the HTC Desire 200 Price in India. Store all your favorite stuff like music files, images and games as the device houses user internal memory of 4 GB. Along with this, the device is expected to pack an external memory slot which can be expanded upto 32 GB via microSD memory card type. To provide the best performance and multi-tasking capability the device is anticipated to be worthwhile powered by 1GHz processor combining 512 MB RAM. The phone runs on Android 4.0.4 Ice Cream Sandwich Operating system, which delivers best Android experience. The latest HTC Desire 200 Pictures are leaked and made available on various mobile web-portals, so you can have a look at the pictures for better details regarding the appearance, which depicts eye-catching looks to Galaxy Smartphone lovers. This Taiwanese manufacturer is going to make this model available in single SIM slot option, and there is information regarding the Dual SIM variant. This handset is housed with a compelling 5 MP primary shooter with a screen resolution of 2592 x 1944 pixels. The unavailability of the front facing shooter is said to be the most disappointing feature of this model. The reports online state that the HTC Desire 200 features will be available with an impressive 3.5 inches Capacitive touchscreen display, which is enabled with a resolution of 480 x 800 pixels. The handset is also powered with an Li-Ion 1230 mAh battery, to provide an impressive talk time to the users. Additional features like Bluetooth v4.0 with A2DP and microUSB v2.0 are also included in this model by which the user can get the access of other devices and share or transfer the the data from one another. Connectivity front this innovative model is fixed with the features like Wi-Fi 802.11 b/g/n, Wi-Fi hotspot, GPRS and EDGE to ensure best connectivity option to the user. 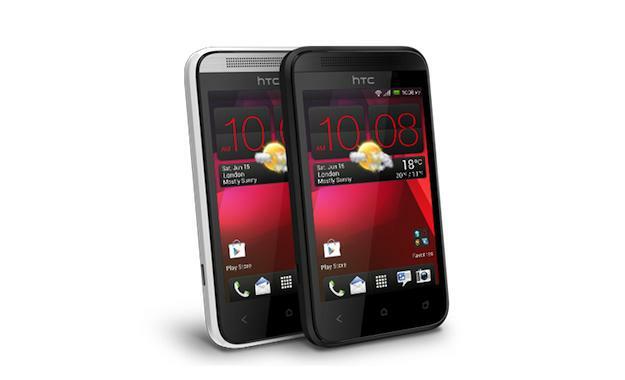 Recently we shared a story about HTC mobiles that, HTC One S now availavle for INR 21,700.